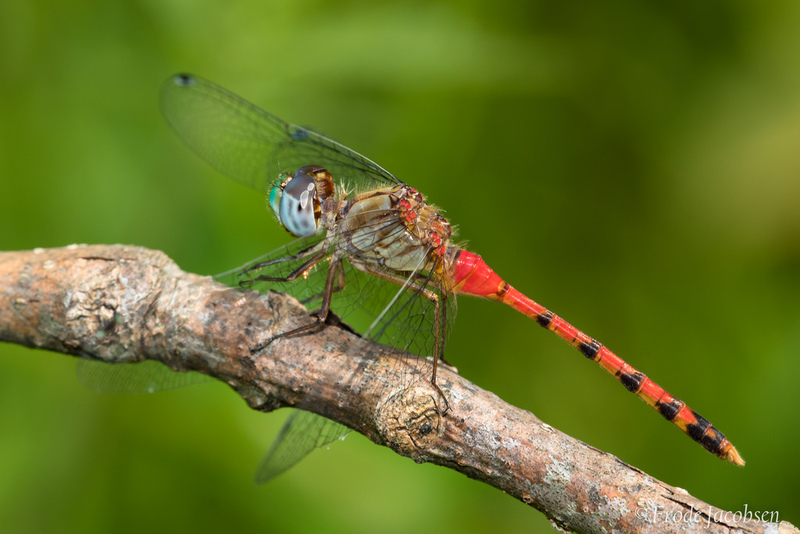 The brightly colored Blue-faced Meadowhawk (Sympetrum ambiguum) ranges through much of the south, northwards into the Mid-Atlantic region. 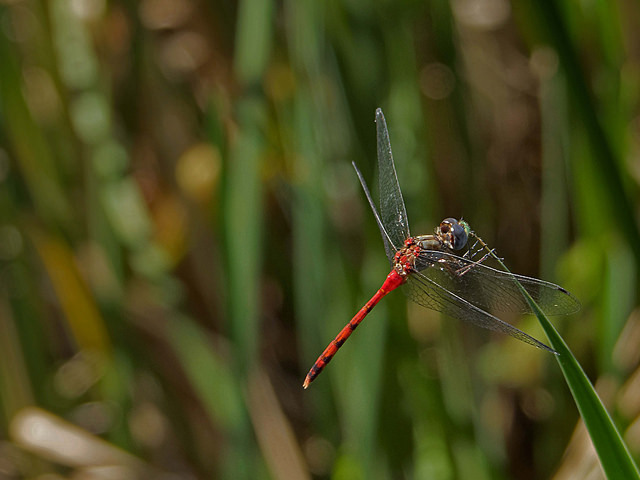 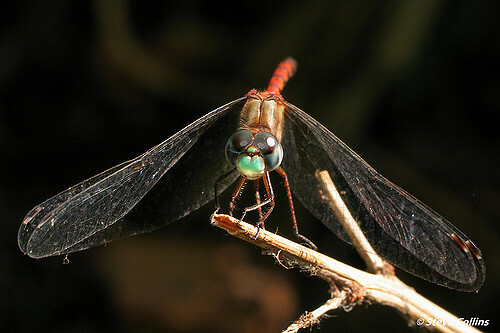 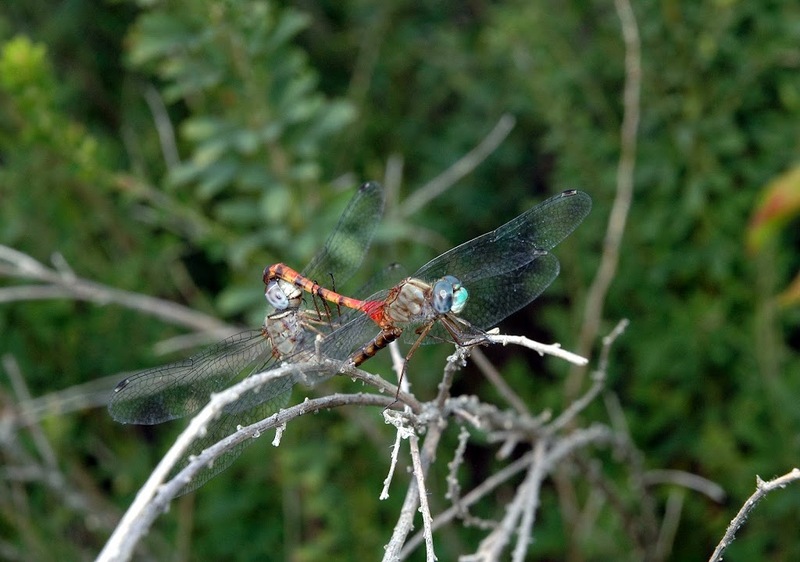 This dragonfly tends to prefer ponds, including vernal pools and slower sections of creeks, and is strongly associated with forested habitats (Paulson, 2011). 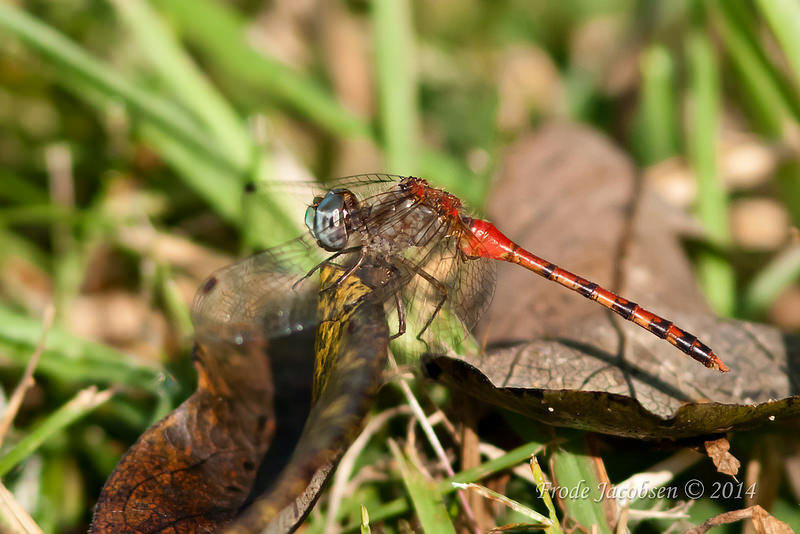 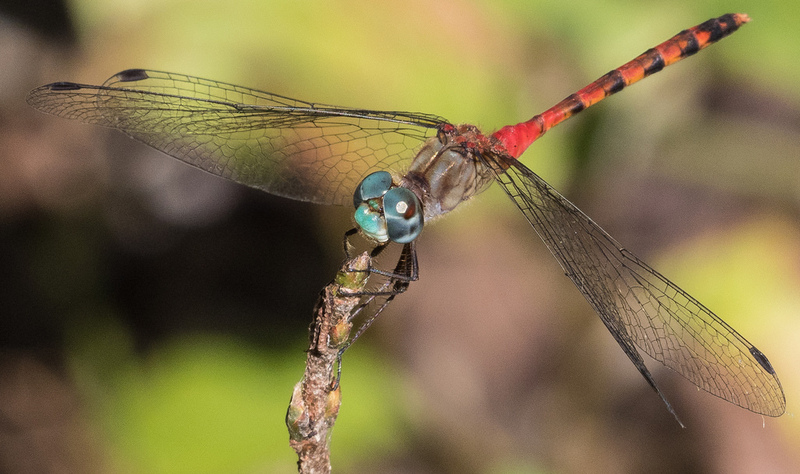 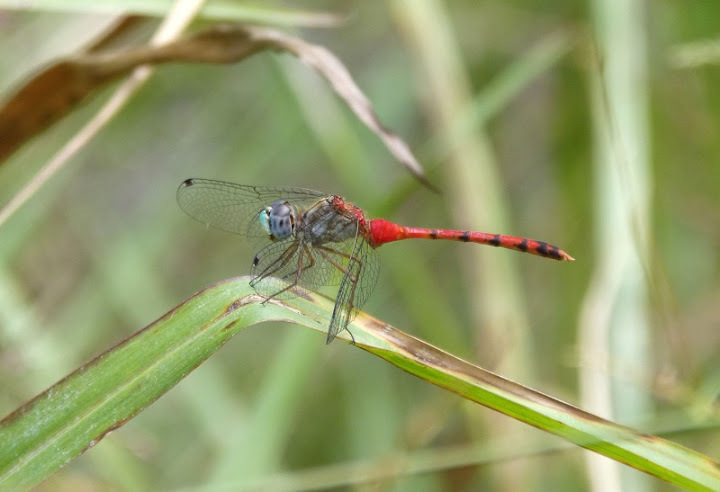 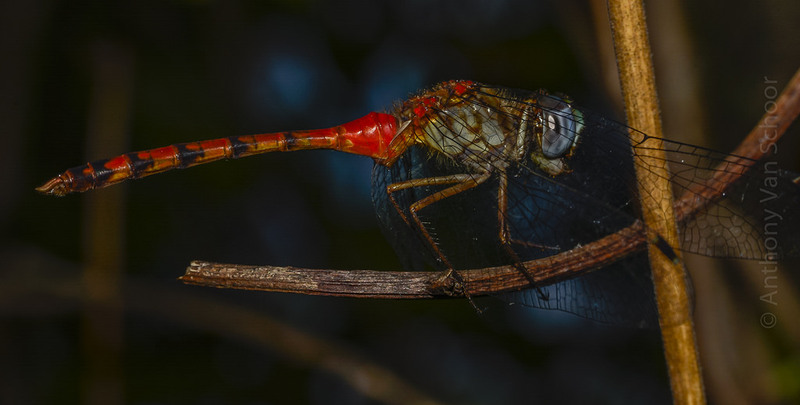 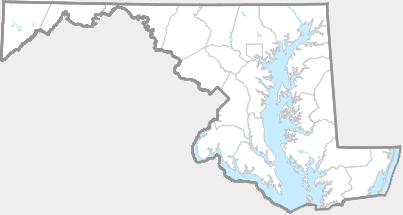 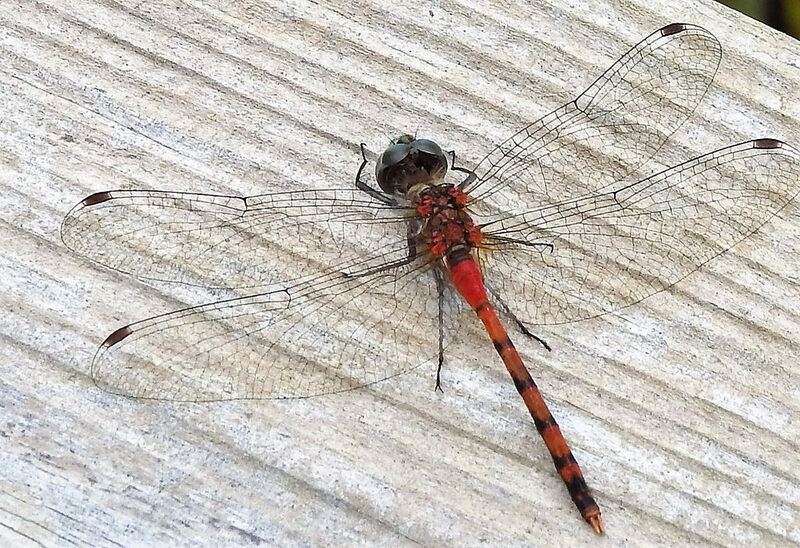 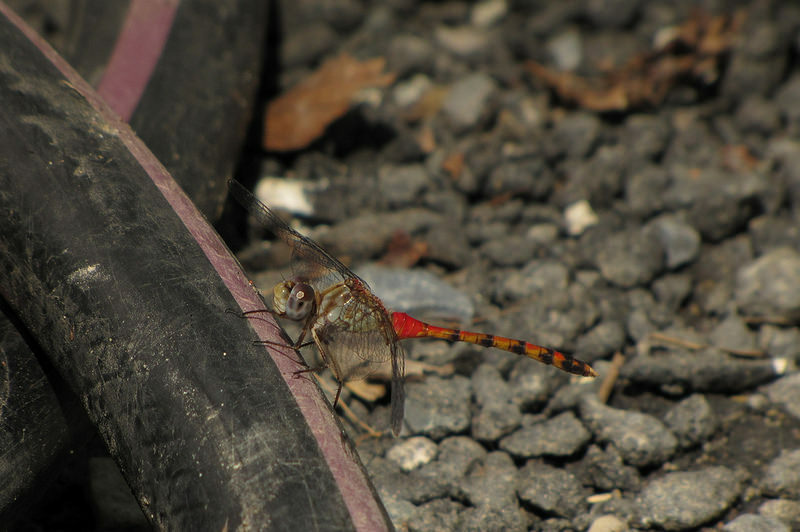 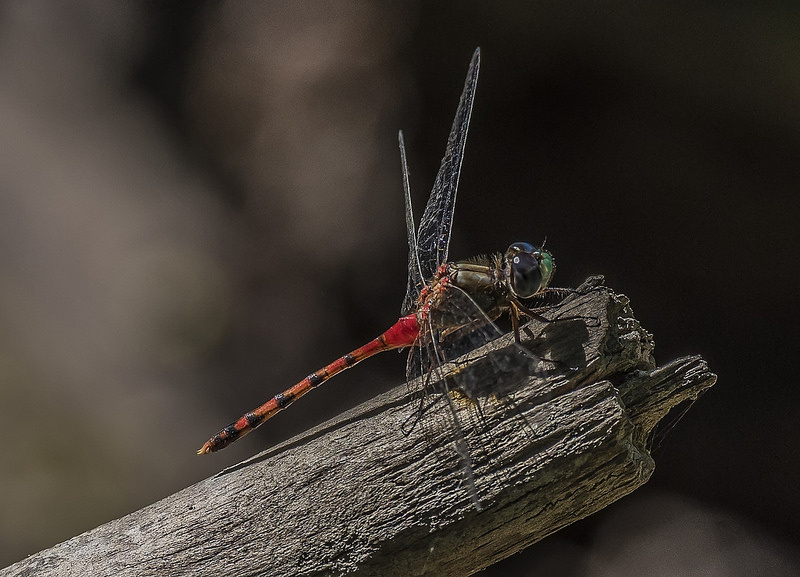 Blue-faced Meadowhawk is fairly common in Maryland (Richard Orr's The Dragonflies and Damselflies of Maryland and the District of Columbia), and has been recorded from a wide range of counties, primarily from the coastal plain and Piedmont regions. 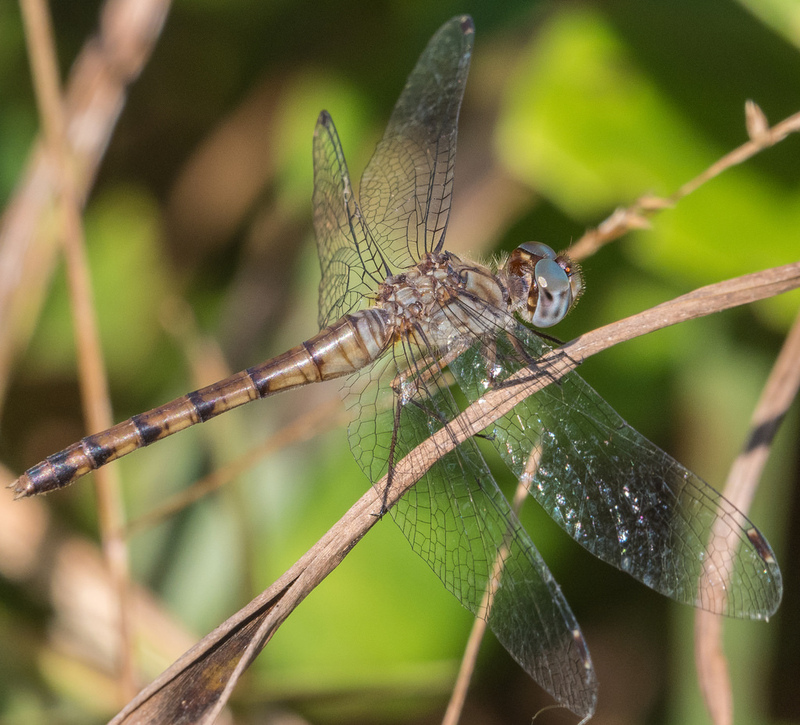 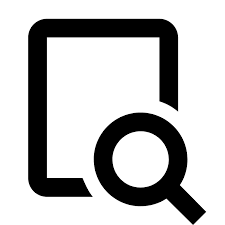 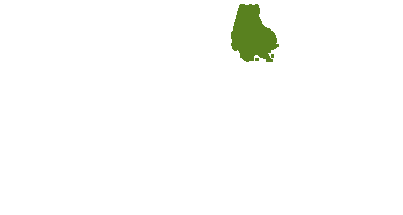 It can sometimes be sporadic in occurrence, and is ranked as S3 (watch list species).